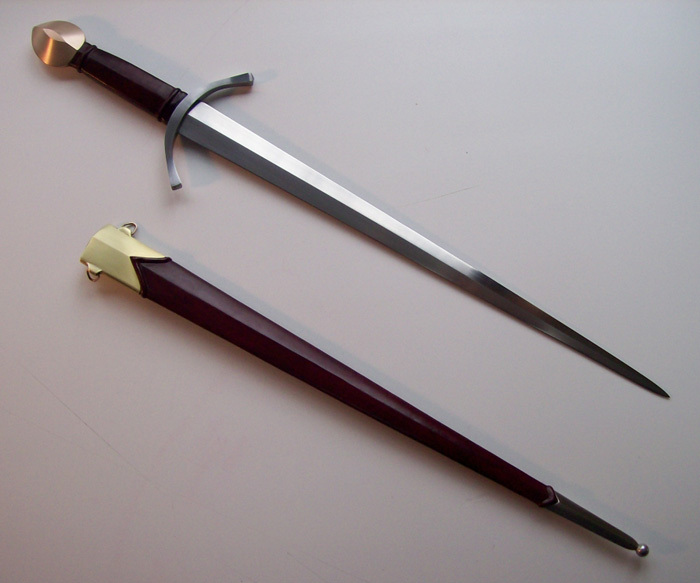 In keeping with similar threads, here's one for quillon daggers. Feel free to post away! 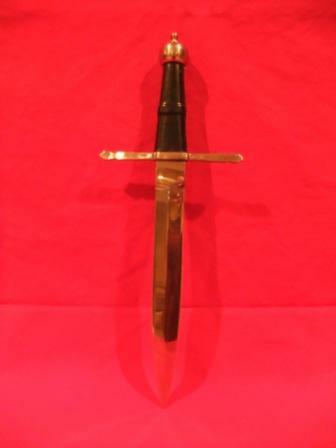 A&A Classic dagger with Crusader cross. Grip cover by me, scabbard by A&A. Here's one made by Michael Pikula. I love it! 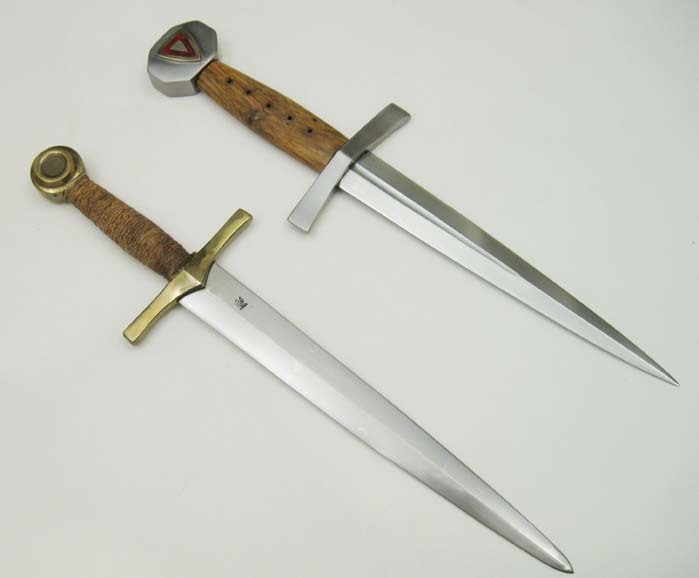 Here is another one by Michael Pikula that is more a Cinquedea but I guess one could call it a quillon dagger but with a very VERY wide blade. 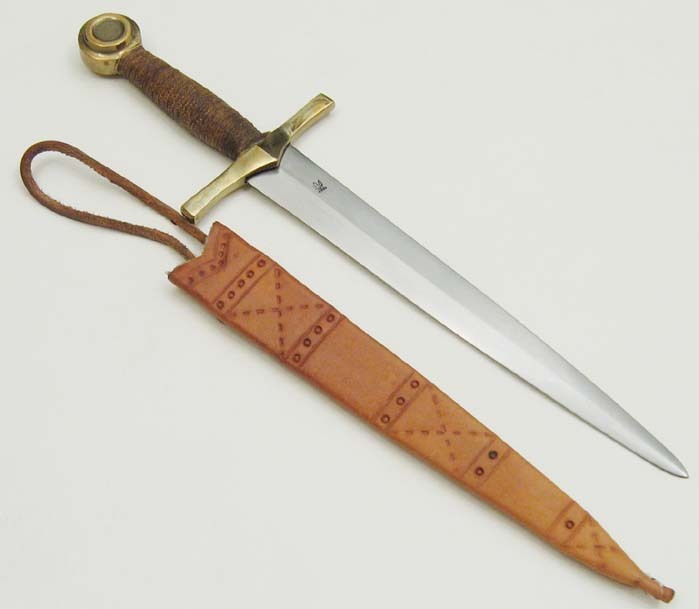 See below for a beautiful dagger made by Peter Johnsson. 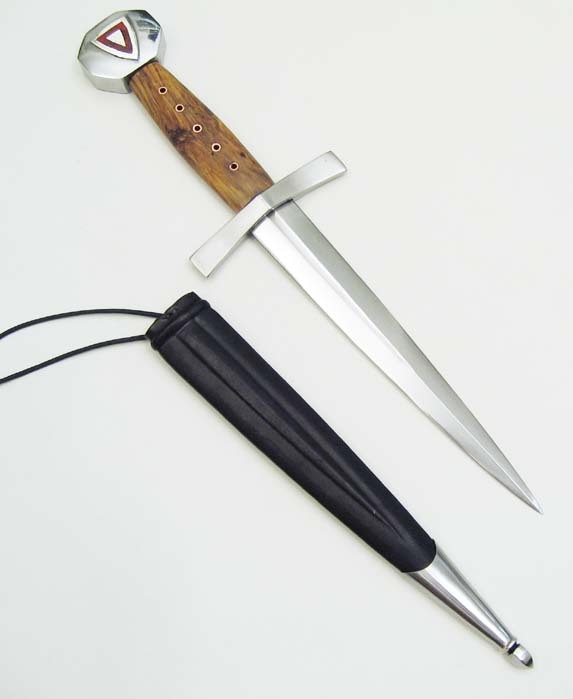 This piece is based on a surviving dagger located in Skoklster Castle, Sweden. More details and photos will have to wait.  That is really a handsome dagger Nathan. Oooo, is that another of Nathan's pieces for me to be envious of? It's gorgeous, don't wait too long to tell us the details! I'm glad people are adding to all these threads. In addition to being fun for each of us to show off whatever we have, these threads also become repositories of large amounts of pictures for future shoppers to peruse. I love all the daggers shown here. Fun stuff! Many of the pics may already have been posted on other Topic threads when the person originally purchased them but this way we can have a Topic where they are easy to find all together and maybe these Topics can become spotlight Topics if they accumulate enough pics. That's the goal. We'll have specific threads dedicated to specific forms so people don't have to look at a bunch of threads to find pics of one kind of thing. My first dagger and the object that sent me down this slippery slope so many years ago. 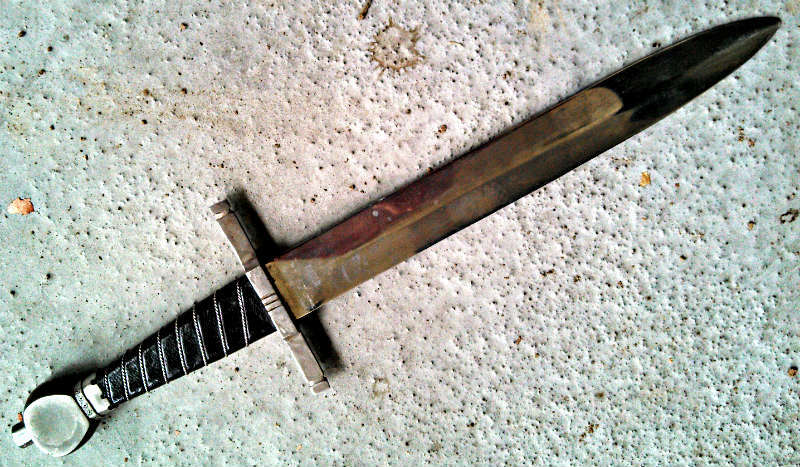 Behold, your standard issue MRL dagger from the 90's. I remember that! I sold many of those at faire way back in the day! 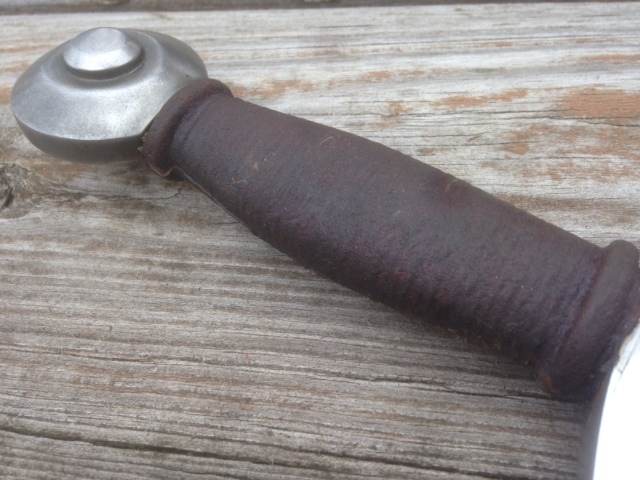 Man I love this piece...with it's sharp diamond section point and deep fueller it looks as if someone had picked up a broken albion crecy on the battle field to hilt it as a dagger. The leatherwork on the scabbard is fantastic too. This thread need a life injection. 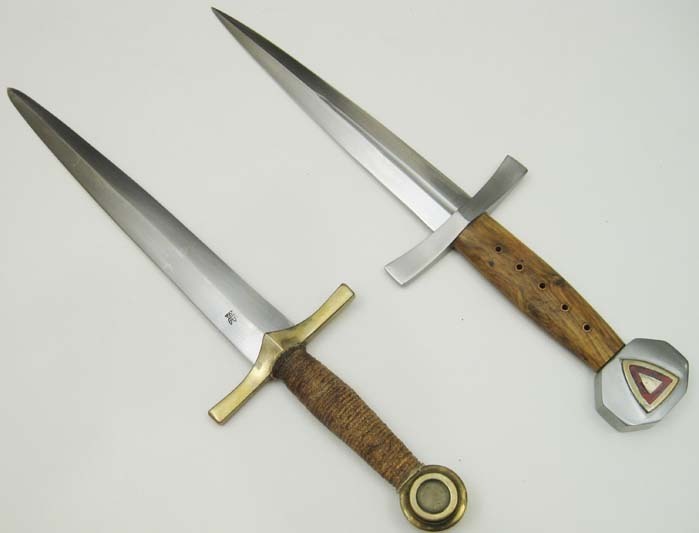 And I do so with a dagger based off the one made by Peter Johnsson by Lutel Handicraft. 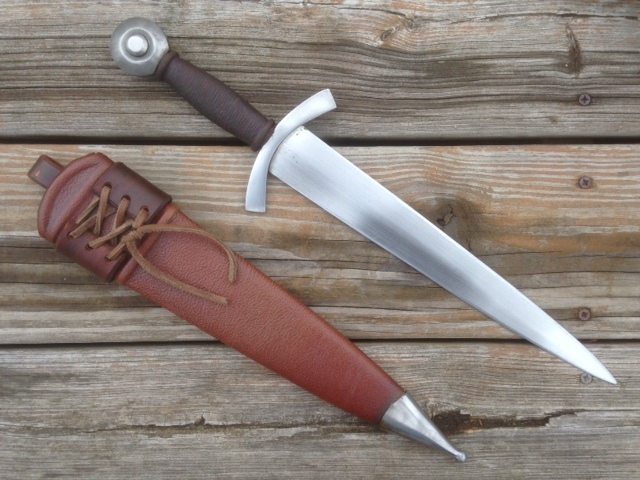 A discontinued Arms and Armor Classic Medieval dagger. 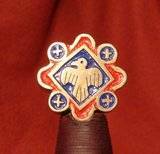 A main gauche from Baltimore Knife and Sword. 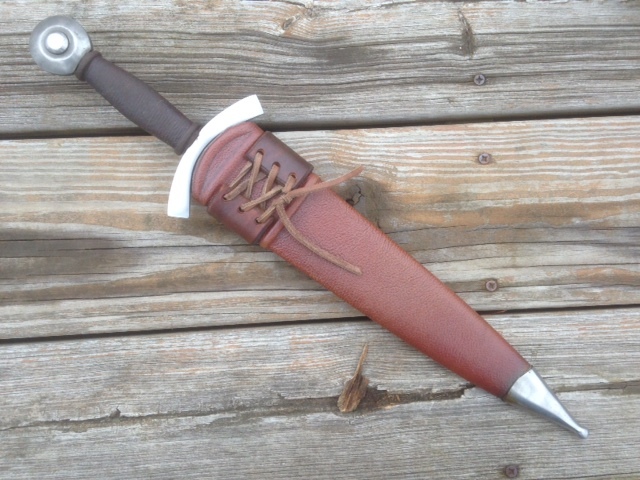 I'm not sure that it qualifies as a quillon dagger. 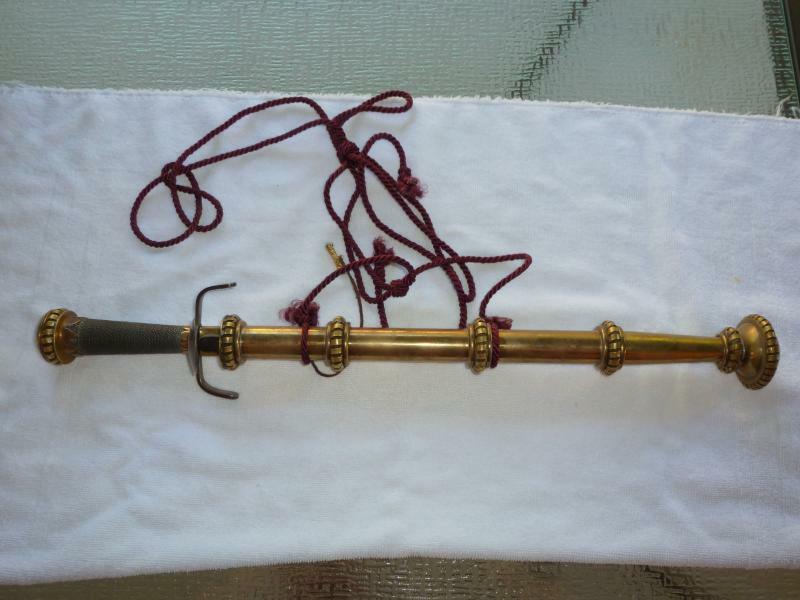 And an old Windlass, a great stage dagger - looks great, but is fairly harmless. 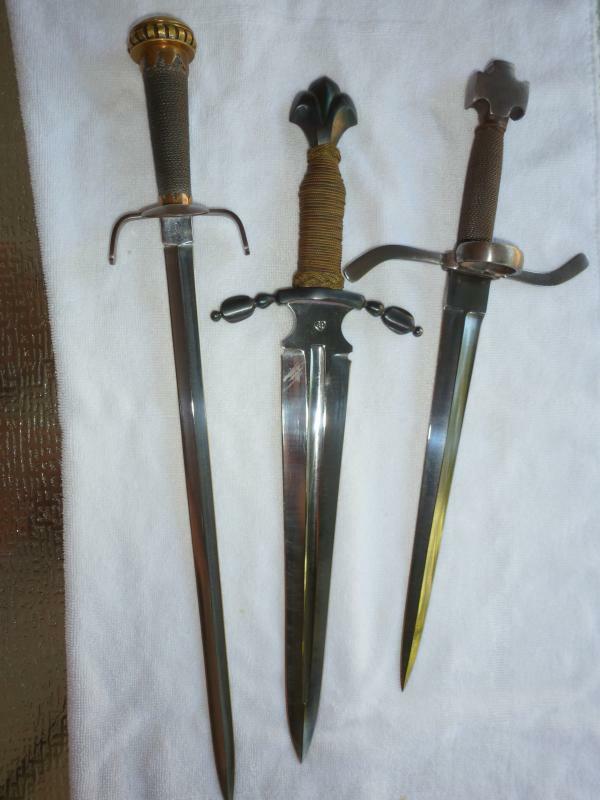 All 3 blades are by jim Hrisoulas. I had my photo equipment out today, so I figured I'd do some group shots to update these threads. I also hope bringing them back up to the top will encourage others to post their stuff. 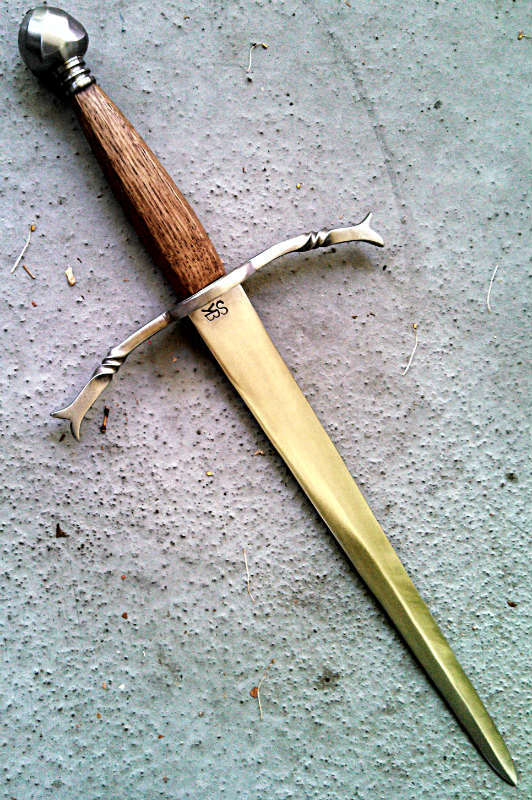 Here is my old Windlass Sword-Hilted Dagger. 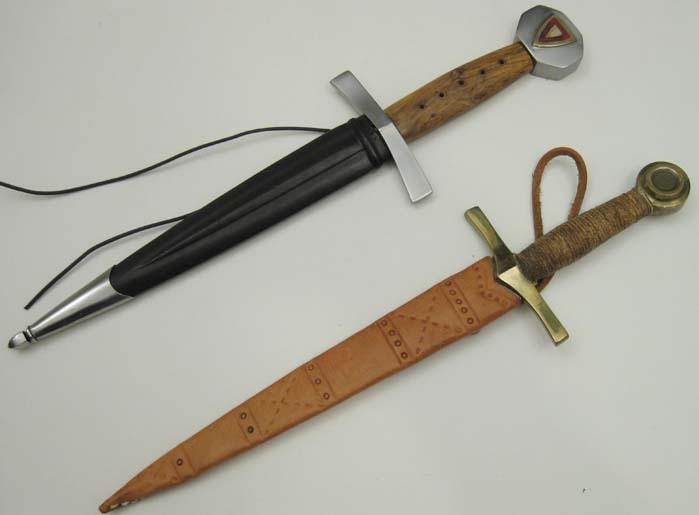 Originally it came with a pretty chintzy wire wrap, loose cross guard and cheap black leather sheath. Jonathan Sarge at Crusader Monk did some good work on the scabbard and handle wrap, and even tightened up the cross without me even asking. Definitely a good guy to do business with. While this piece does not fit my 15th century kit, I could not resist taking it of James G. Elmslies hands at the RL Scott conference in Glasgow, especially after it had been admired and praised by Peter Johnsson himself. If he would like to take a closer look at it now, he'll have to approach me. I just HAD to have it! A lovely piece I might very well base a future 13th kit on. 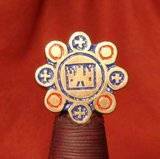 Colours and heraldry feel very right. - What can change the nature of a man?